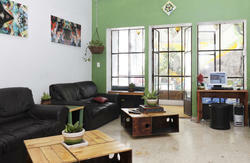 Guadalajara Centro Hostel has been the best place to stay for backpackers in Guadalajara for over 12 years, and still is!! Our superb location in the heart of downtown Guadalajara is minutes away from the best the city has to offer, within walking distance to all major attractions and interesting spots of the city. At Hospedarte HI Hostels it's not just about staying in the best locations, it's about the people you meet along the way, come experience Guadalajara with us! Lonely Planet, the world's most trusted travel guide says about us: â€œThis downtown option is popular with a young crowd looking for a good timeâ€¦â€ We are your reliable choice in Guadalajara and offer you the best price-value in town! Our features include free Wi-Fi throughout the hostel & computers with internet access, free continental breakfast, free bikes, free bed linen & towels, free city maps, massive lockers, tours & hostel activities, laundry facilities, etc. Our facilities include clean, bright, airy private rooms, and 8-bed dorms with balcony and high ceilings, bathrooms for men and for women, hot showers 24 hours a day, common areas (dining room, lovely living room with pool table, lounge chairs & hammocks, TV/DVD area, main balcony), and free use of the spacious fully-equipped kitchen. 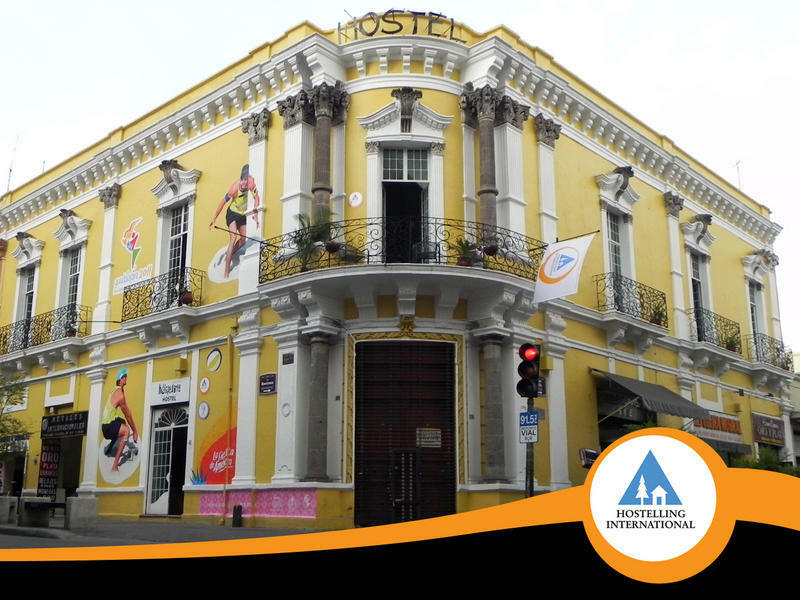 Owned and managed by travelers at Hospedarte Centro Hostel we encourage our guests to mingle and have a great time, so join us & make this one of the most memorable places on your travels! We look forward to seeing you on your arrival!! By TAXI: we suggest that you catch authorized taxis from the airport. It takes 25 minutes to get to the hostel. Remember that our hostel is in Downtown. The rate is around $280 pesos. By BUS: take the bus 'Atasa' in the Airport 'Terminal Terrestre' the rate is $13 pesos. Get off in downtown area, close to 16 de Septiembre Ave.
By BUS: Take bus PREMIER # 709 going to downtown and get off in downtown area, close to 16 de Septiembre Ave. Each bus ticket costs $11 pesos. By TAXI: we suggest that you catch authorized taxis from the Bus St. It takes 15 minutes to get to the hostel. Remember that our hostel is in Downtown. The rate is around $120 pesos. Because we're located right in the downtown, it's super easy to find us. Our address is a block south of Juarez Avenue, 2 blocks east of 16 de Septiembre Avenue, the two streets that divide the city, the main intersection of the entire city. All the cab drivers know how to get here and many buses pass by just two blocks away. We are 500 meters away from the 'Plaza Universidad' station of the Guadalajara subway, which goes across the city from north to south and three fourths of the city from west to east.